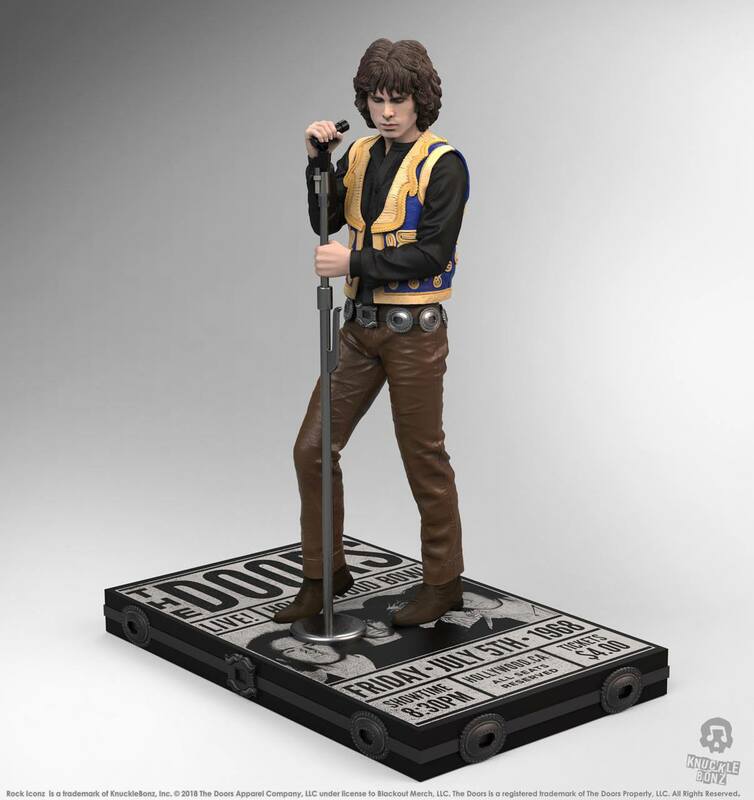 The Jim Morrison (The Doors) Rock Iconz™ statue is a limited-edition collectible. Officially licensed. The Doors. Jim Morrison Rock Iconz statue is produced in a highly exclusive limited edition of only 3000 pieces created and sold worldwide. All Rock Iconz statues are hand-crafted. This is a fine-arts process where each statue is hand-cast. painted and numbered. These statues are created in 1/9 scale. making the average height of each approximately 21 cm tall and each statue comes with a certificate of authenticity on the base of the statue.